You can buy "ready made" plants in a store, but it can be much more fun to grow them yourself from seed. The magical phenomenon of seed germination and transformation into an adult plant is entertaining for both adults and children alike! 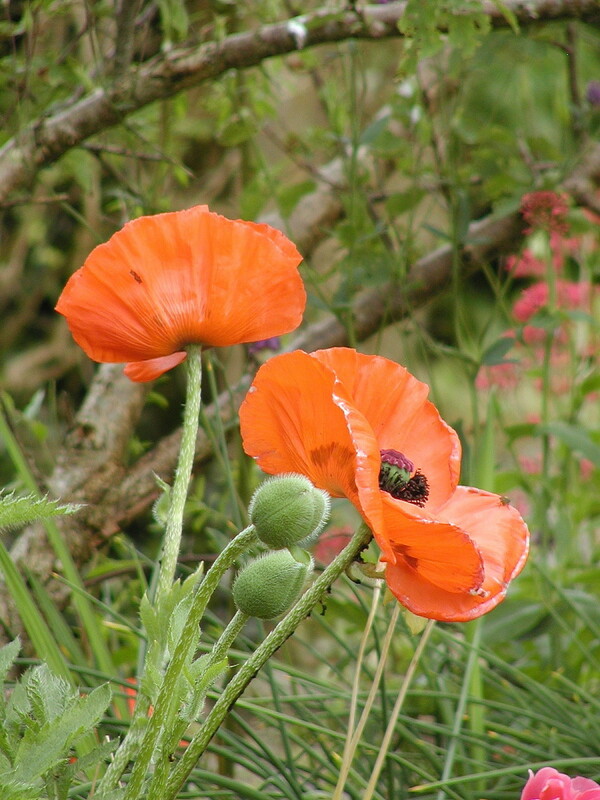 In this article I have concentrated on growing oriental poppies which produce lots of seeds every year when they finish flowering. They are herbaceous perennials, which die down in winter but regrow again, year after year. If you find this guide useful, please take the time to share it on Pinterest, Facebook or other social media. Is it Easy to Grow Plants From Seed? Many flowers, trees, and vegetables are easy to grow from seed if you take a little bit of care while sowing, and provide the basic requirements for germination; warmth, moisture and oxygen. One obvious advantage of growing plants from seed is that it works out much cheaper than buying them. Also many plants produce lots of seeds which can easily be harvested and sown, and you can collect much more seed than would ever be in a packet bought from a shop. Seeds are dormant once they "leave" their parent. This means that they do nothing and in effect are asleep as long as they are kept in a cool dry place. Some seeds have a "best before date" in the sense that they eventually deteriorate over time. However other seeds can be stored for decades before germination. In fact the oldest known seed was from a date palm estimated to be 2000 years old. This was successfully germinated in 2005. A seed is an embryonic plant in a capsule, with all the DNA information present to eventually develop into a full grown "adult". 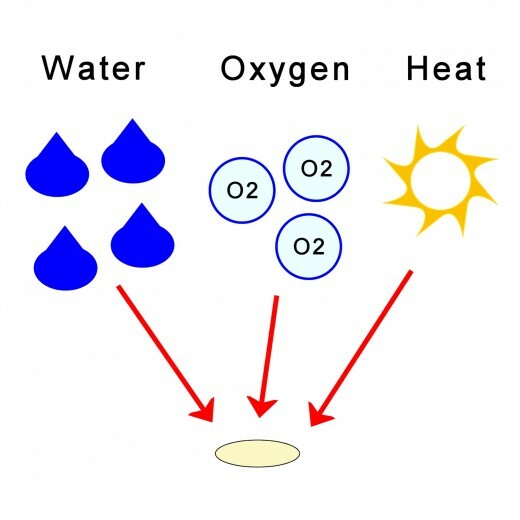 Seeds have three major requirements for germination; water, oxygen and warmth (the temperature depends on the specific seed). Some seeds also require light but others require dark conditions. You can sow seeds in a proper seed tray bought from a store. Alternatively you can make do, and use a cookie tin, flower pot, butter spread container or similar. If there are no holes in the bottom of the container, make some with a 1/4 inch drill bit or large diameter nail or hot knitting needle. This allows water to drain from the container and prevents it collecting at the bottom which would make the seed compost overly wet. Space the holes a few inches apart. 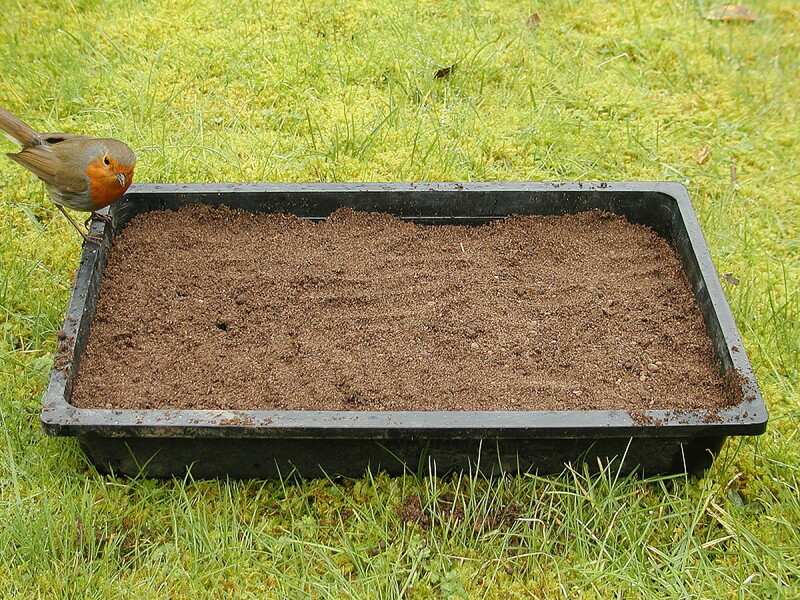 You can also sow seeds individually in plant trays like the ones which annual plants are sold in from stores. The advantage of these is that seedlings don't need to be transplanted. Use a sterile seed compost if possible. 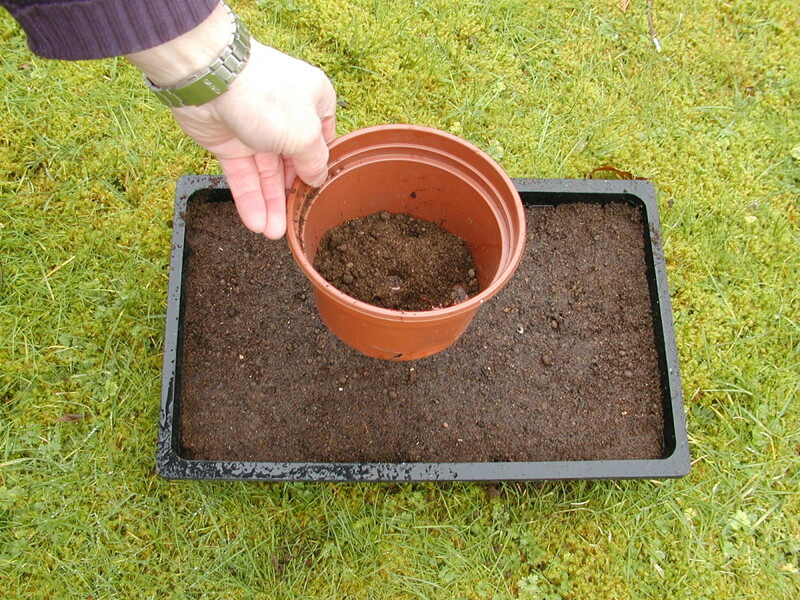 You can also use a combined seed/potting compost. 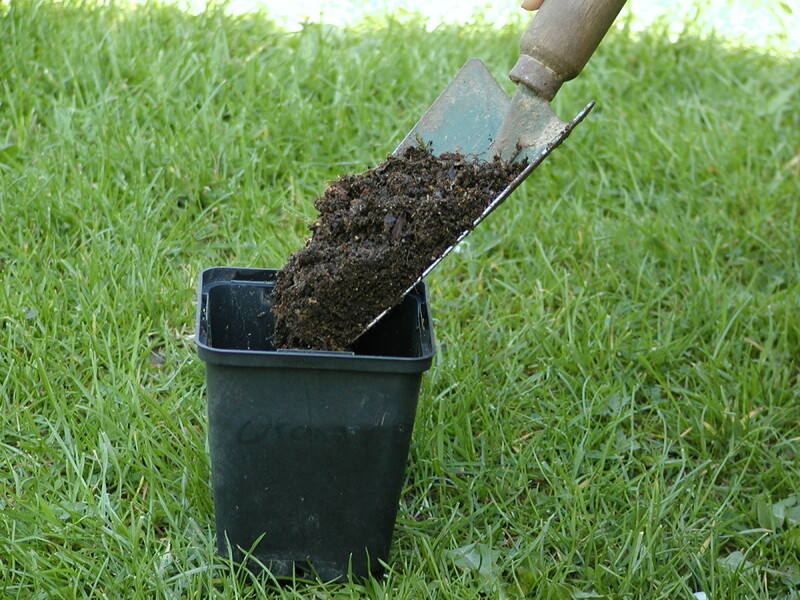 Don't use soil dug up from your garden as this will be lumpy, contain lots of pests and diseases, and dry out quickly. Some plants aren't "fussy" about what they grow in, and if you have lots of harvested seed, you can try sowing it in soil which you have crumbled up so that it's nice and fine in the tray. 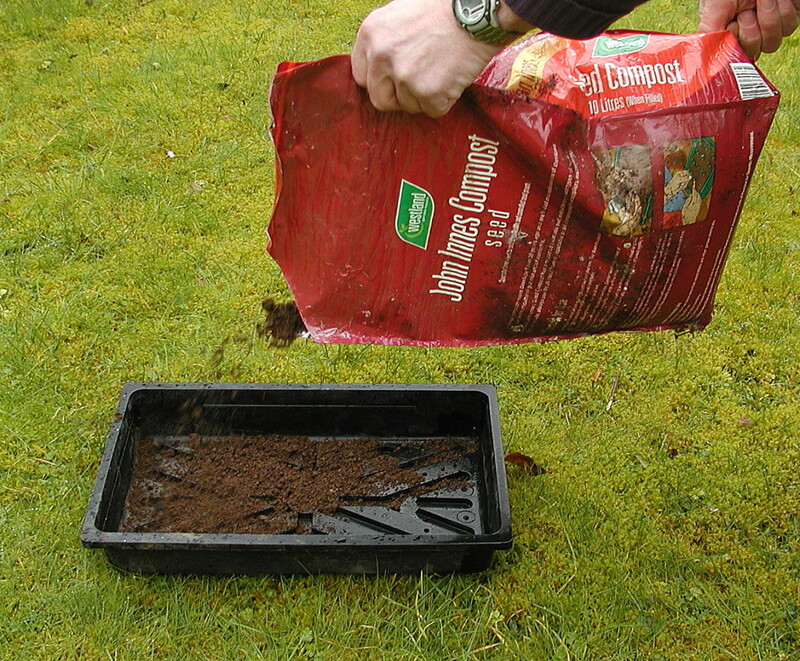 From my experience however, it's best to buy proper compost to increase the chances of germination if only a small number of seeds are supplied in a packet. 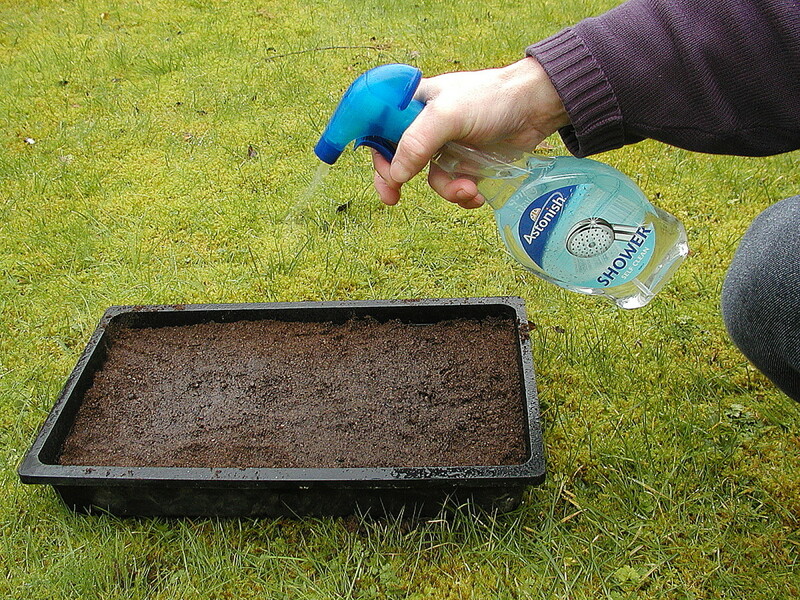 Moisten the surface of the compost with a mist spray. I just use an empty bottle from window cleaner, shower cleaner or similar. Make sure to wash it out fully before using. You can use a watering can but unless it has a fine rose, it will tend to flood the compost. 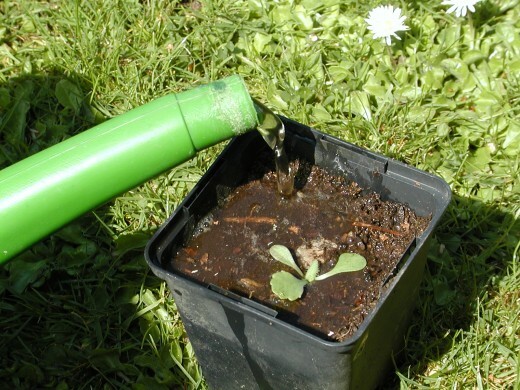 Don't use a watering can to wet the compost pre-germination if it becomes dry, or to water delicate young seedlings, because it will wash away seeds or flatten the seedlings. Check the recommended sowing depth in the instructions on the seed packet! Cover the seed tray to prevent the compost drying out. This also keep the seeds dark, which aids germination. You can use a piece of glass and a magazine, a slate, a piece of plastic, plywood or whatever. Seeds germinate best at a temperature above 64 F (18 C ). In the northern hemisphere, it's best to sow seeds in early spring around February or March so that plants can avail of the full growing season. If you live in a climate with cold winters, the temperature may be too low for germination. So you can place the seed tray in a plant propagator or alternatively locate it in a hot press close to a hot water tank, or near your furnace/boiler. 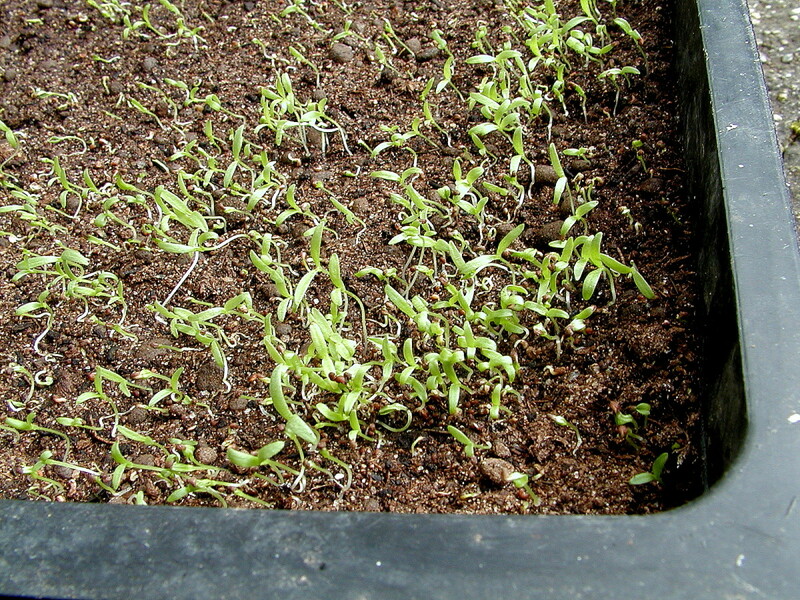 Check the seed tray after a few days as some seeds can germinate quite quickly. It's very important to uncover the seedlings and expose them to light once they germinate, otherwise they will rapidly become straggly, with overly long, thin stems. You can place the seed tray on a windowsill where it should get enough light. Turn the tray each day so seedlings are evenly illuminated. Keep the compost moist with a spray mister. This is essential, especially if seeds have just been sown on the surface without being covered, as the tiny roots can dry out rapidly when exposed to warm sunshine or warm air in a room. In retrospect, I think it would probably have been better to cover these seeds with a thin layer of compost. If the plants are half-hardy, i.e. 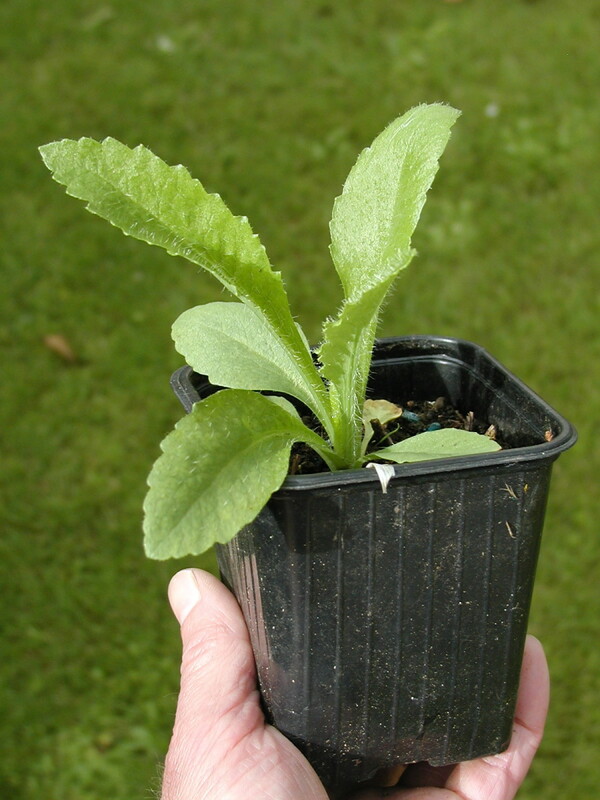 they are sensitive to frost, they will need to be kept indoors in full sun, in a greenhouse or under a cold frame. 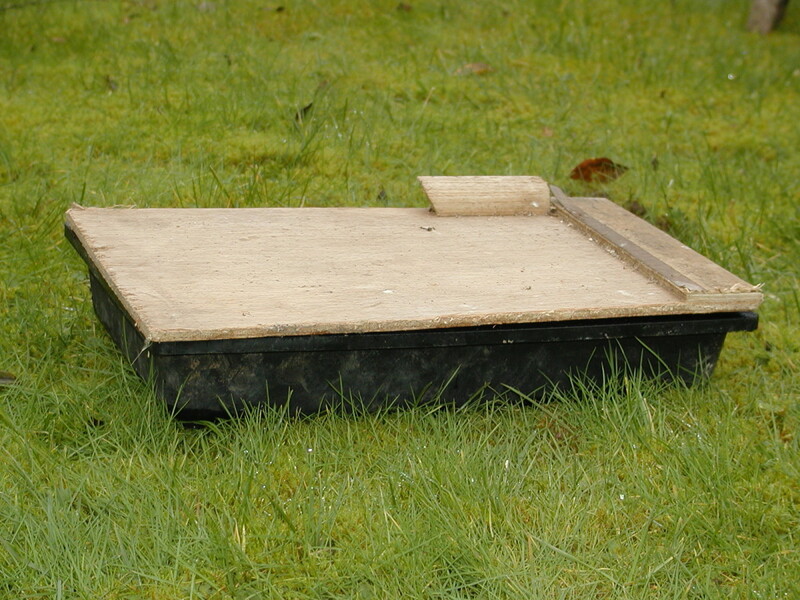 During severe frosts, seed trays should be brought indoors or covered with insulation to guard against frost. 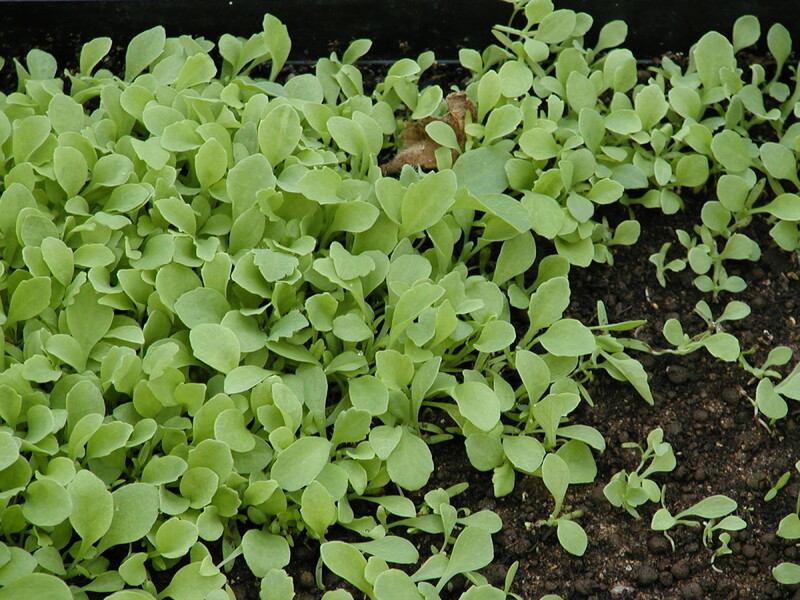 Once the seedlings have a few pairs of "true leaves", they can be transplanted into individual pots or plant trays. Water the compost before transplanting, and gently tease the seedlings out of the compost using a popsicle (ice pop) stick, teaspoon or similar. Try to avoid damaging the delicate roots. Make a hole a with your finger or the popsicle stick in the compost in the pot, drop the seedling into the hole, and gently press the compost back around the roots. This is important if the weather is dry and there is strong sunshine. If you didn't manage to keep a little piece of compost stuck to the roots and they became bare during transplanting, the delicate seedlings can dry out rapidly in strong sunshine. So keep them in the shade for a week until the roots grow into the new compost and have a better chance of absorbing moisture. 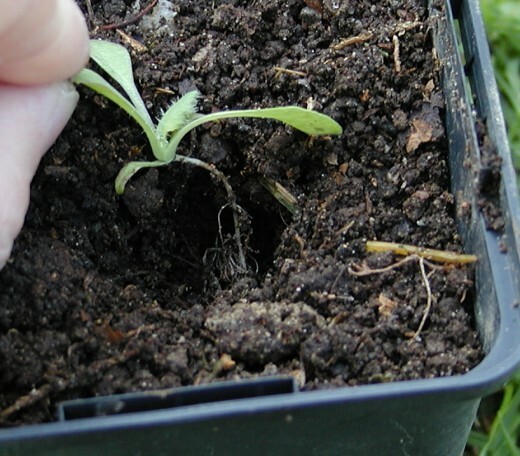 Once plants have reached the stage where roots are starting to emerge from the bottom of the pot, they can be planted out to their final location. 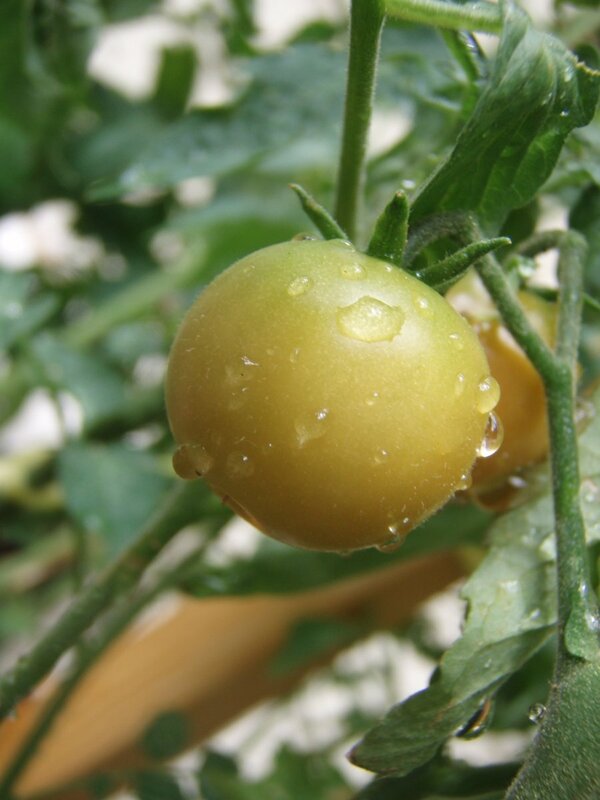 Plants that have been grown inside need to be hardened off over a period of about 7 to 10 days. This is a process where they are gradually introduced to direct sunlight, dry air, and cold nights so that they don't suffer shock from the sudden change in growing conditions. Plants can be hardened off by placing them in a wind and sun shaded spot outdoors, exposing them to these conditions for an hour a day, then taking them back inside at night. Extend the time gradually by an hour a day so that they become accustomed to lower temperatures. Start hardening off half-hardy annuals (e.g. marigolds, petunias, asters), shortly before the last frosts so plants are ready to plant out. 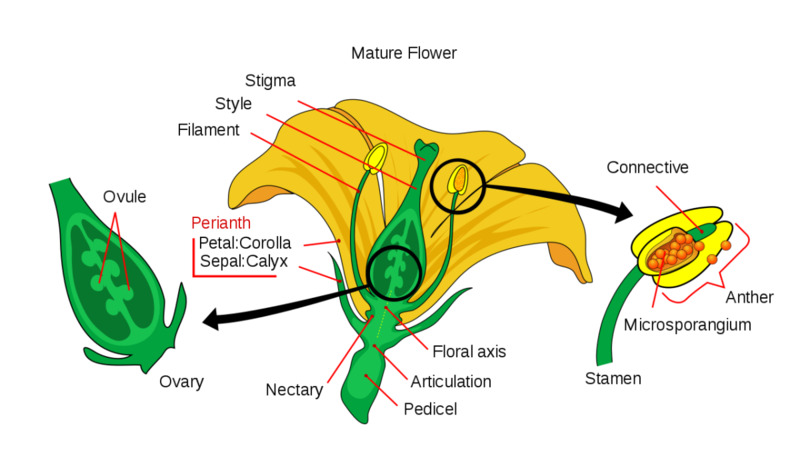 What are Annuals, Biennials and Perennials? Annuals are plants that complete their growing cycle in one season between spring and fall (autumn). Biennials germinate and partially grow in size between spring or summer and fall. The next year they grow more foliage and finally flower. 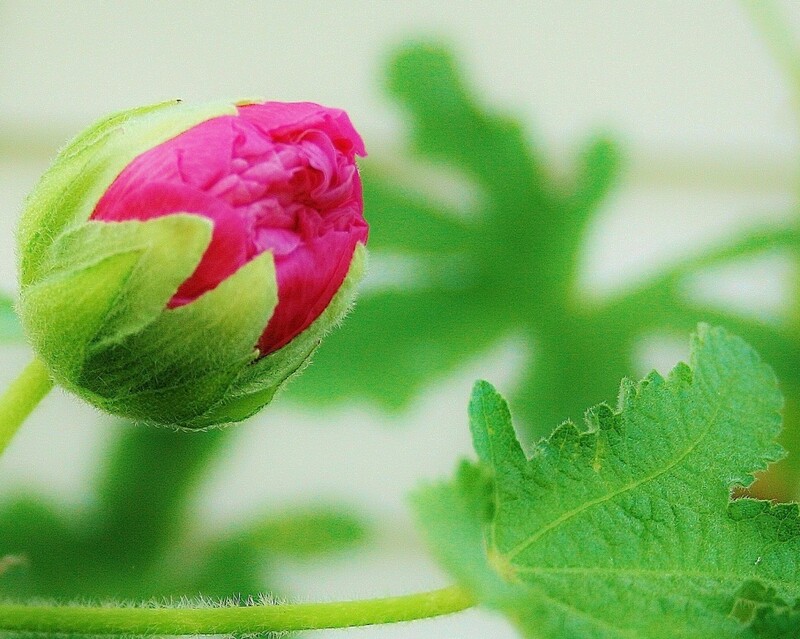 Perennials are plants that germinate and may flower the first season. They re-flower the next year and last indefinitely. Trees and shrubs are perennials as well as herbaceous plants (plants with soft green stems and not much wood). What Flowers are Easy to Grow From Seed? This is when you sow seeds directly in the ground in their final location rather than sowing them earlier indoors in containers and transplanting outside. How Do You Sow Seeds Outside? You can sow seeds directly in the ground. This is often done with vegetable seeds or hardy annual flowers. The best time to prepare ground is when it's dry, especially if it's clayey, otherwise you can end up with a complete mess and clumps of mud stuck to your boots! Seeds should usually be sown in early spring as recommended on the packet. Dig the ground and turn over the sod to a depth of about 4 to 6 inches. This is best done before winter so it can be left for several months for frost to break up the soil. Alternatively slice off the top inch of vegetation. Loosen soil with a fork or use a chopping motion with a spade to break it up. Rake the soil to a fine tilth so that it's fine and crumbly. Remove stones, weed debris, roots, sticks etc. Use a line as a guide if you're sowing vegetable seeds. This helps to keep things neat and it's easier to walk between rows. Space the seeds and sow to the recommended depth. A rule-of-thumb is that depth should be three times the diameter of a seed. Press small seeds into the ground with covering. If you've got lots of seed to spare, sow a few together at each spacing to maximise the chances of germination. You can thin and transplant excess seedlings later. If you're sowing flower seeds, you can scatter seed and rake in rather than sowing in rows. 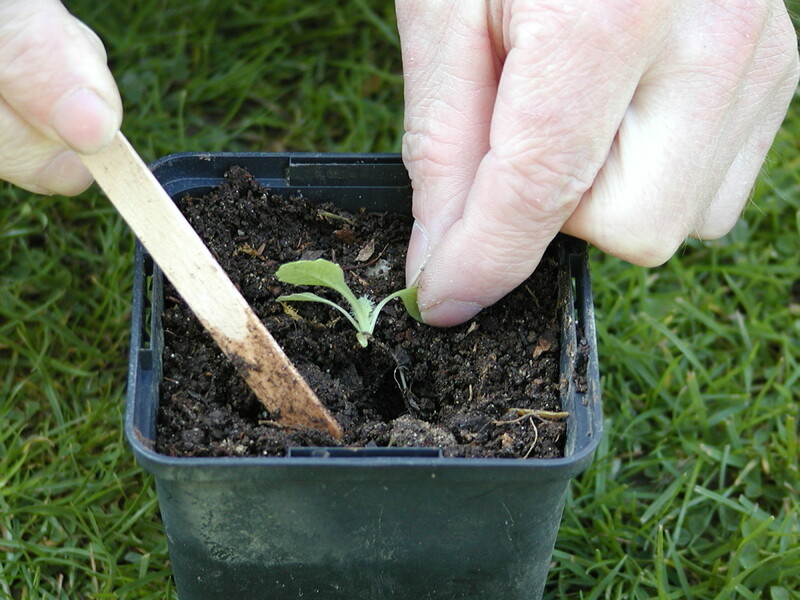 If sowing large seeds, use a pencil, lollypop stick or similar to make a hole. Alternatively you can make a long furrow or groove in the ground and sow into this. Use a fine spray mist to moisten the ground. The advantage of growing from cuttings is that the new plant is like a clone and genetically identical to the plant it came from. Plants grown from seeds don't necessarily "breed true", and just like humans can be somewhat different to either of their parents. Also it takes longer for a plant to grow from seed. When transplanting seedlings to thin them out, if they are tall and straggly do you plant them deeper into the new hole to stop them becoming too leggy? No, it's better to keep the stem above the ground/compost or maybe slightly lower to cover any delicate roots, otherwise it can potentially be damaged by soil borne diseases. As the seedlings grow bigger, cover any exposed roots. 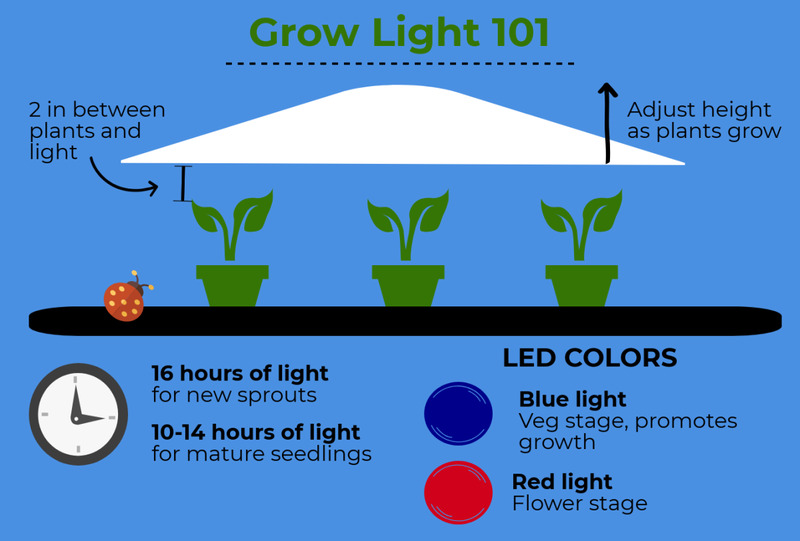 It's important to expose young plants to light as early as possible to avoid them becoming straggly. If you're growing inside, get them as close as possible to a window or onto the sill and turn daily. Don't over water young seedlings. More plants are drowned by the roots being wet or killed by fungi in warm moist conditions than from drought. Compost should be slightly moist, not wet (stick your finger down into it to test, as it can dry out on the surface giving the appearance that it's dry throughout). Good ventilation is also important to avoid fungal diseases such as botrytis (grey mould). Is it ok to grow the seeds at home? How big should the container be? Should I leave it by the window with it open for some oxygen? Yes, anyone can grow seeds at home, it's really easy. The container size depends on how many seeds you want to sow. 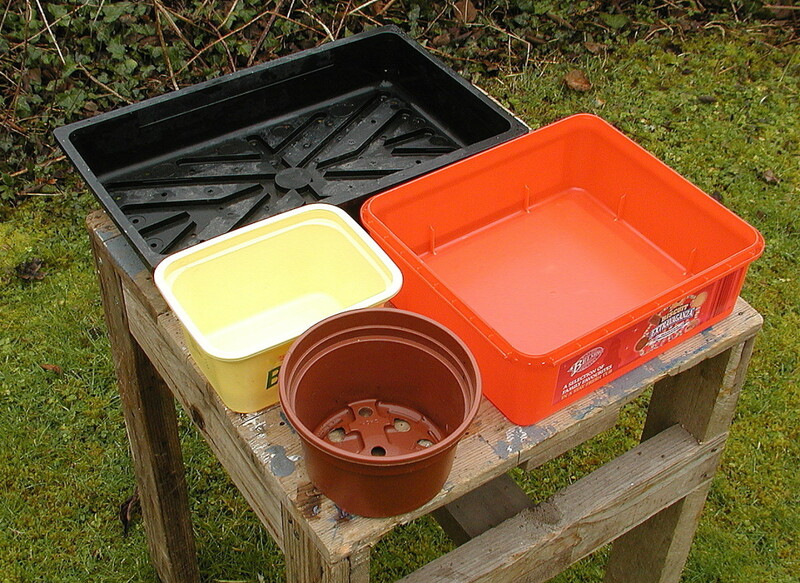 If you're going to sow lots as I did in the photo above, a tray, box or tin is best. If you only want to sow a few seeds, you can use a flower pot, yogurt carton, plastic cup, food container (wash it out first) or anything similar. Seed trays are usually about 1 1/2 inch / 40 mm deep, so seedlings need to be transplanted when they're tiny so that their roots have a chance to spread out and get bigger. If you use a deeper box, flower pot or container, you can allow the seedlings to get much bigger before transplanting. You don't need to leave seeds near an open window to get oxygen! Oxygen is all around us. In fact, it makes up 19% of the air. And it'll also permeate down through the seed compost to reach the seeds. Seeds should be kept in a warm place at a temperature of at least 18 degrees C (64 F). 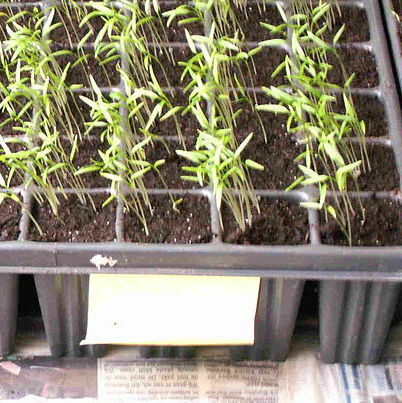 Once they germinate, they need to be moved to a window, bright conservatory, etc. so they can grow properly. 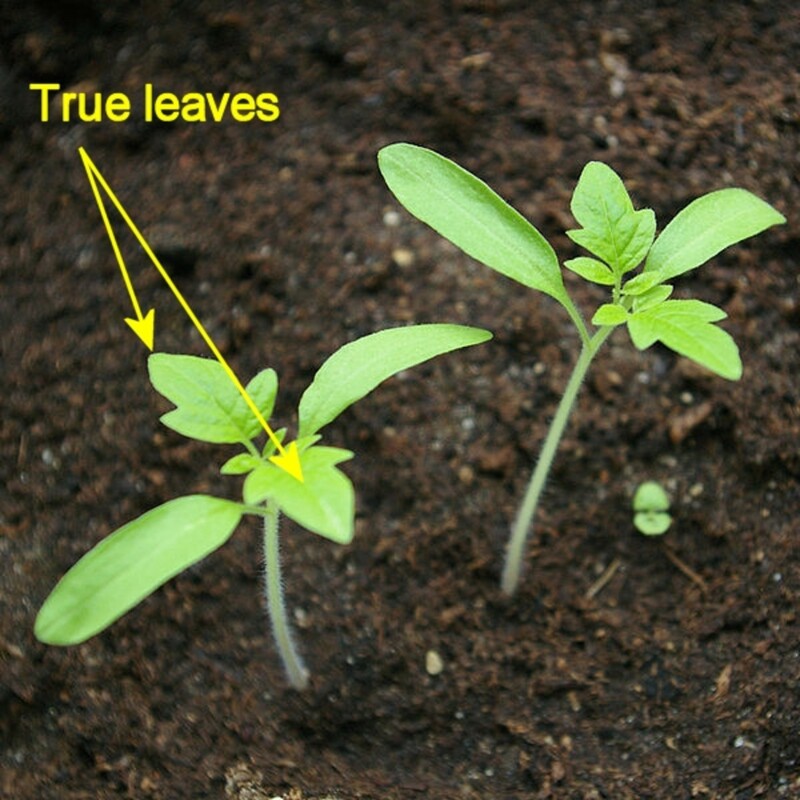 In dim light, seedlings rapidly become straggly as the stems grow long and thin as the plant searches for light. I germinated some seeds on a paper towel. Do I plant the seedling with the pod down or the shot down? The shoot should point upwards and the root downwards. Even if they don't and the germinated seed is planted "upside down" and before leaves appear, the shoot and root eventually reorientate themselves. So a shoot will turn around and travel upwards towards the light and the root will detect gravity and grow downwards. I've planted strawberry seeds. They are in my home, on a table. I water them twice a day, but after 1 week, not even one has sprouted. What should I do? You shouldn't need to water them everyday unless you kitchen is very warm and the compost dries out. Remember, the surface may be dry but wet under the surface. 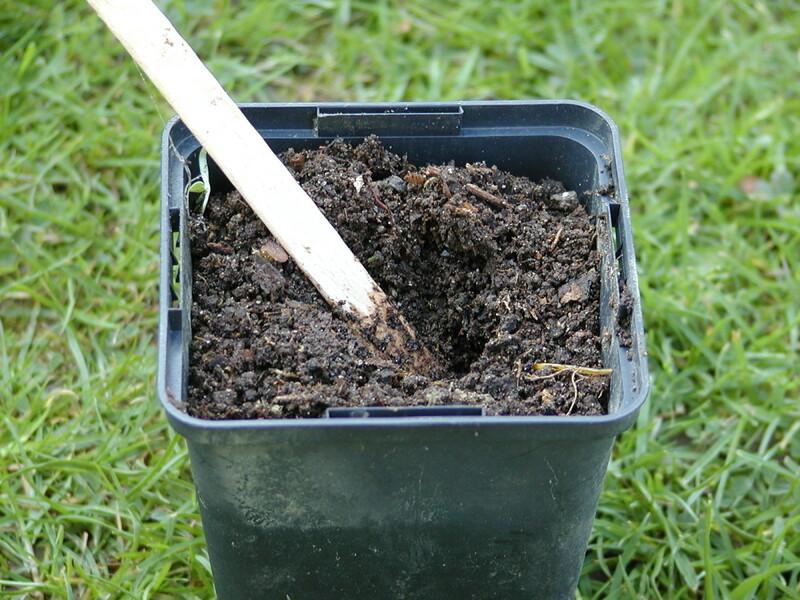 Wet compost can cause the seeds to go mouldy and die. Compost only needs to be moist. It's a good idea to cover with a piece of card, plastic, glass or wood to stop the surface drying out. It's recommended to just press the seeds into the compost and they can take several weeks to germinate. Some strawberry seeds also need to be stratifieed or exposed to cold winter conditions to encourage them to germinate. The seed packets sold in stores are dated. Do the seeds really "expire" after the date? It's probably an estimate assuming that moisture in seeds, combined with bacteria and molds will eventually lead to their demise if they aren't given the opportunity to germinate. However, I've never really checked packets to see whether the expiry date on some is further into the future than on others. Everything now seems to have an expiry date, so maybe the seed packers are just covering themselves to avoid people complaining about seeds not germinating. Apparently keeping seeds in the fridge prevents them attempting to germinate and then failing and dying when there's no growing medium present, so that may extend the lifespan. 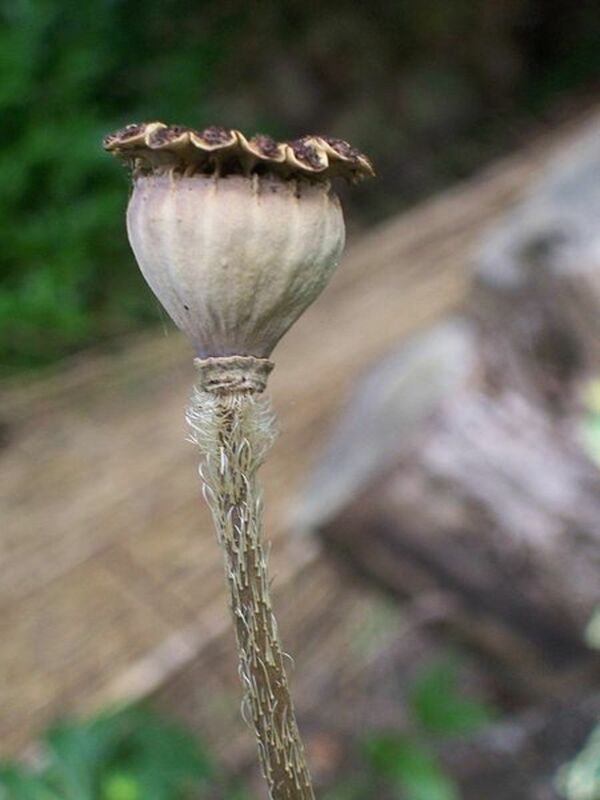 Some seeds have a very long lifespan, perhaps hundreds of years. If you have a packet which has gone past the expiry date, all you can really do is sow them and see what happens! I've bought soil for bean seeds. They have shoots now, and two to three leaves. When is the appropriate time should I put in fertilizer? You can give the seedlings a liquid feed from now on. Usually, it's best to use one-quarter to one-half strength solution, but consult the instructions on the pack to see whether it needs to be weaker. Feed once a week, and use plain water if necessary between feedings. 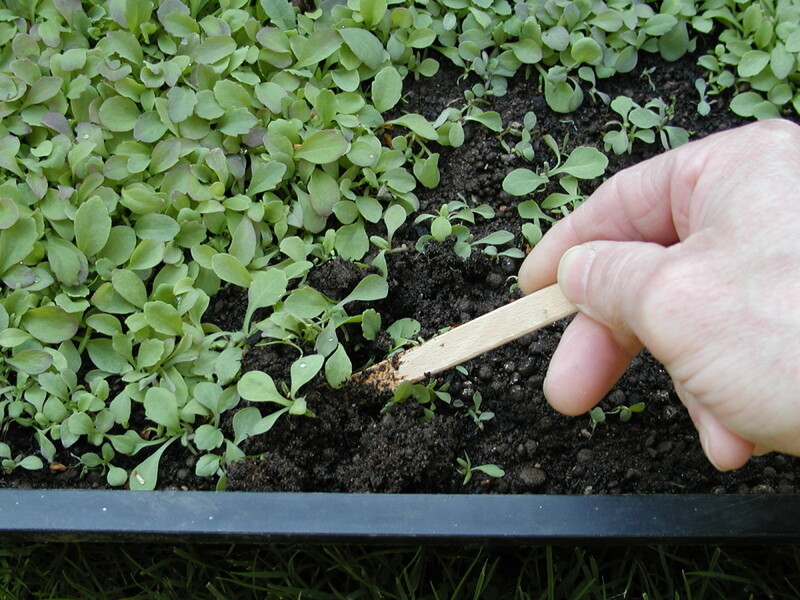 Once the seedlings are planted, you can use one half to full strength solution, every week or so. If you're using granular fertiliser, don't let it come in contact with leaves or stems, as it can burn. 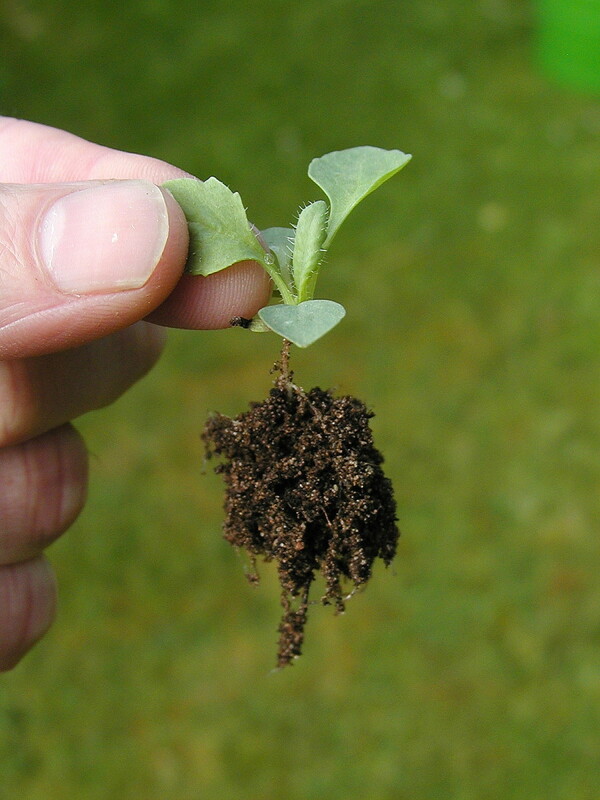 Too much fertiliser can cause seedlings to grow too fast and become spindly. If this is happening, ease off on application (spindly seedlings are also the result of lack of sufficient light). Basically, a seed is like an embryo, the plant equivalent of a fertilised human egg, with genetic information from both parents. A seed is dormant in the absence of warmth and water, but once it's sown and detects moisture (it also needs oxygen and heat), it begins to metamorphosise into an adult plant. This involves using instructions in the DNA in its cells on how to grow roots, stems, leaves, and flowers. Do seed sowing instructions work for vegetables? Yes, but some seeds don't like being transplanted, mostly root crop vegetables such as carrots, turnips, and parsnips. These can be sown directly into the ground. Pre-soaking hard seeds such as peas and beans for 12 hours, reduces the time needed for germination. Plants that have been started indoors should be gradually hardened off by placing them in the wind shaded spot, exposing them to outdoor conditions for a couple of hours a day, then taking them back inside at night. Extend the time gradually so that they become accustomed to lower temperatures. How deep should seeds be planted? 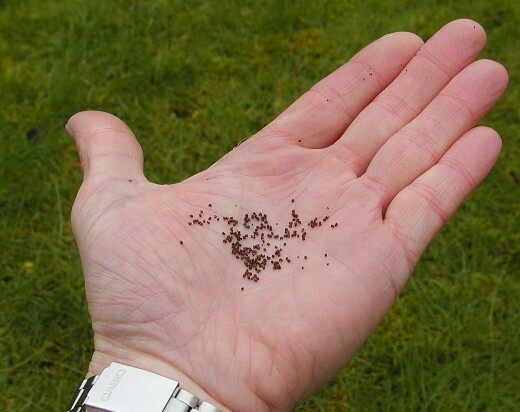 Tiny seeds can be sprinkled on the surface and not covered. 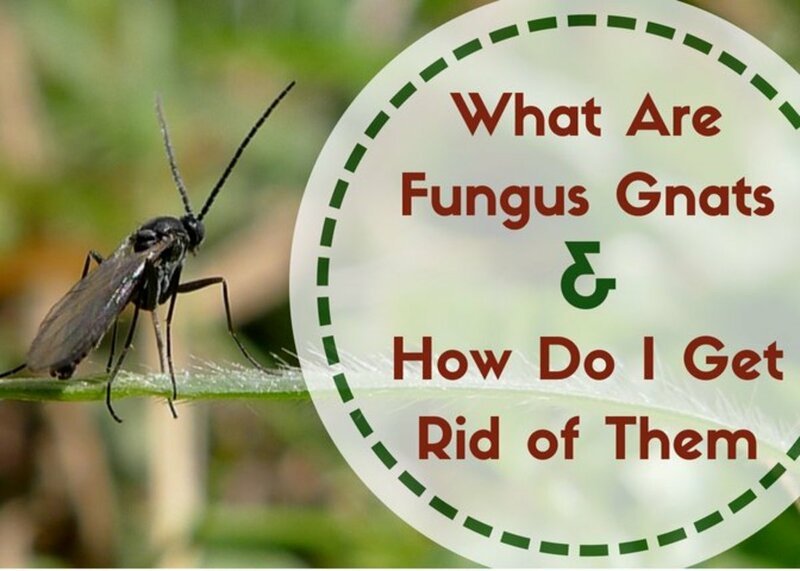 It can help to press them down into the compost or spray with a mister after sowing. Larger seeds above about a mm (1/16") in size can be covered with a light sprinkling of compost. Much larger seeds, e.g. 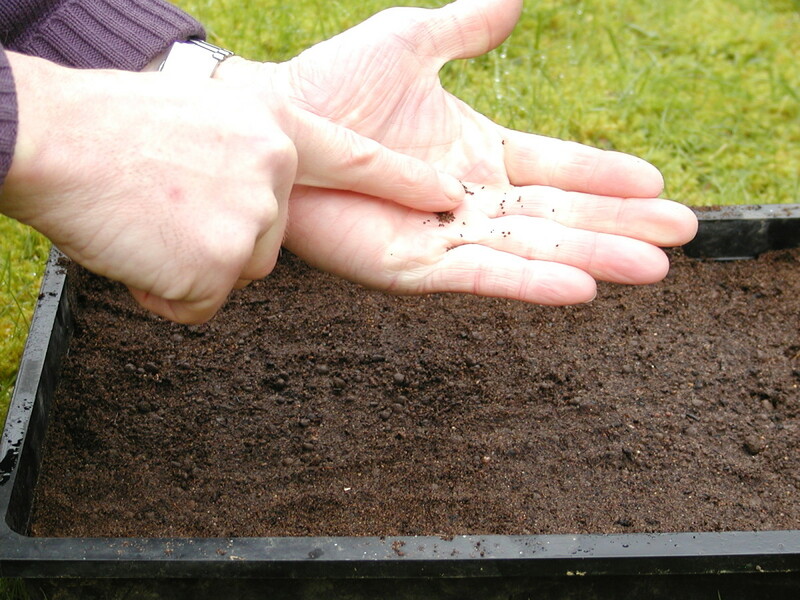 peas, beans, sunflower seeds etc can be pushed down about 6mm (1/4") below the surface of the compost if it's soft. In harder ground outdoors, you can use a stick or piece of rod to make a hole and drop the seed into it, or sow in drills which are slots made in the ground with a rake or pointed tool. Do sunflower seeds need darkness to germinate? It doesn't seem to matter. You can cover the seeds or leave them uncovered. When growing small seeds that are near the surface, it's often better to cover the seeds to stop the seed compost from drying out in strong sunshine. What is the proper depth for sowing seeds? It depends on the size of the seed. Dust like seeds shouldn't be covered and sprinkled on the surface and kept moist. Seeds the size of grains of sugar should be covered with a fine sprinkling of a couple of mm of compost. Larger seeds, e.g., marigold seeds need about 5mm/1/4 inch of cover and very large seeds, e.g., beans need to be sown about 1/2 inches or 12 mm deep. It’s so interesting this page. Edit: Check the seed packet or Google for germination temperature. Typically this is 18 C / 64 F min, but some seeds need higher temps and others can cope with lower values. The toilet roll cores might disintegrate over time as they soak up water, so tell the kids not to be over enthusiastic watering them! They might last ok though. You'll need to stuff something in the end to stop the compost/soil falling out, maybe pieces of toilet paper, rolled up into a ball. Potting soil will be quite loose until it's moistened. Alternatively you could use small yoghurt pots, disposable coffee cups or similar as containers. The dollar store potting soil should be fine, just break up any lumps before using it and moisten before and after sowing seed. As regard seed types, you could try sunflowers, beans and peas (soak overnight before sowing), sweet corn, pop corn kernels (not sure whether they sterilize this before it's sold, but it would be interesting to experiment sowing it), squash and pumpkin, zinnias, nasturtiums. Marigolds are also easy to grow and the seeds easy enough to handle (about 1/4" / 5 to 7mm). The top of a fridge wouldn't be warm. Heat rises from the coils at the back, but there wouldn't be anything to support the rolls unless there's a grating, but don't completely cover it or the fridge mightn't cool properly! Cover as you suggest with cling film and prick a few holes in the the film over each roll. Maybe put them on a window sill, radiator or near where the heat source is for the room. 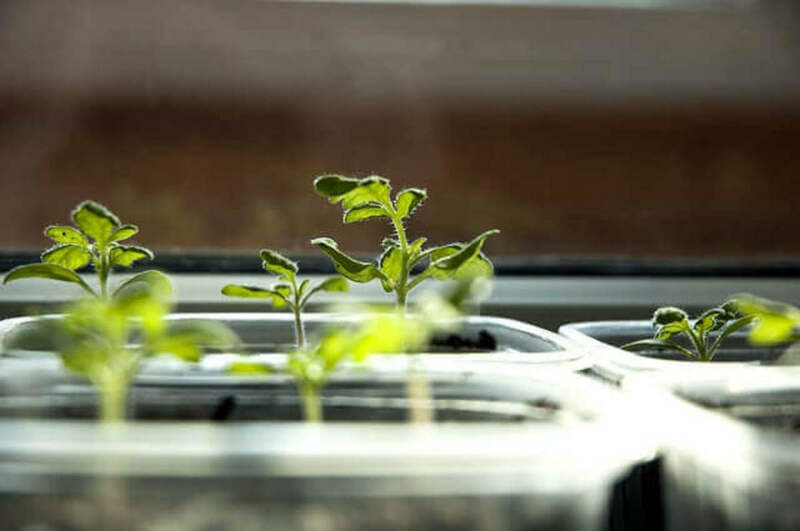 Once seeds germinate, it's important to move them as close as possible to a window within a day or so as they can rapidly become tall and spindly. It might be a good idea to sow a few seeds at least in each roll to allow for non-germination (then either discard or thin) and maybe have some spare rolls with seeds sown in them also as backup if there's total germination failure (to avoid disappointment if the kids all have their own rolls!) Repot when the seedlings start to get too big for the rolls (You'll know this because compost will dry out faster and you'll see roots coming out the bottom). I am going to be doing a library program this Tuesday with kids ages 7-12. We are going to be using empty toilet paper rolls as seed pots to start growing seeds inside. I have never done this so am looking for some tips and feedback. What flower seed would you recommend? I am looking for a bigger seed so the kids don't have to do thinning. I also bought some potting soil from our dollar store. It contains peat moss and perlite. Would this be good enough? Would it be good to put the seed pots on top of a refrigerator where it is warm to germinate? Is it best to cover them with cling wrap to act as a greenhouse? Do you need to put holes in the cling wrap to let the air in? We live in Nova Scotia, Canada so we won't be able to plant them outside for at least 6-7 weeks, so how soon would we have to repot them? I want to make a simple instruction sheet the kids can take home to follow. Thanks so much, Eugene for the great article!! thanks eugene i love how you gave details to you website, this is awesome i'm going to show it to my friends and family thanks again. Thanks Kimberly! Glad you liked it and found it useful! Great detail. Thank your for the pictures and clear instructions. I love to do this with the kids, especially sunflowers. Thanks for the great tutorial! Looking to grow some herbs with the kids and teach them how to grow. This was more than perfect, thank you! Thank you for the information, I’ve recently been saved by our Lord Jesus. And feel that he’s calling me into a discipleship, Anyway I was researching on an effective way of planting seeds being the Word and couldn’t believe how remarkable this reminded me of my own experience. Thanks again! Peace and love to all. Pretty good. I have planted so many herbs and flowers thanks. You can transplant from trays when the plants have a couple of pairs of true leaves. If you sowed seeds in pots, you can let the plants get somewhat bigger and transplant when the roots start to poke out through the drainage holes in the pots. Alternatively slip the plants out of the pots and if the roots have spread throughout the compost (as in the photo above), then it's time to give them more space. You don't need to trim any leaves. Thanks Eugene, I just received a greenhouse for my birthday and am struggling to know when to transplant to bigger pots before planting in the garden. I have done all what you said and now have plants that I needed to put into bigger pots. I guess I am wondering when to transplant into bigger pots and should I trim off the litte starter leaves? 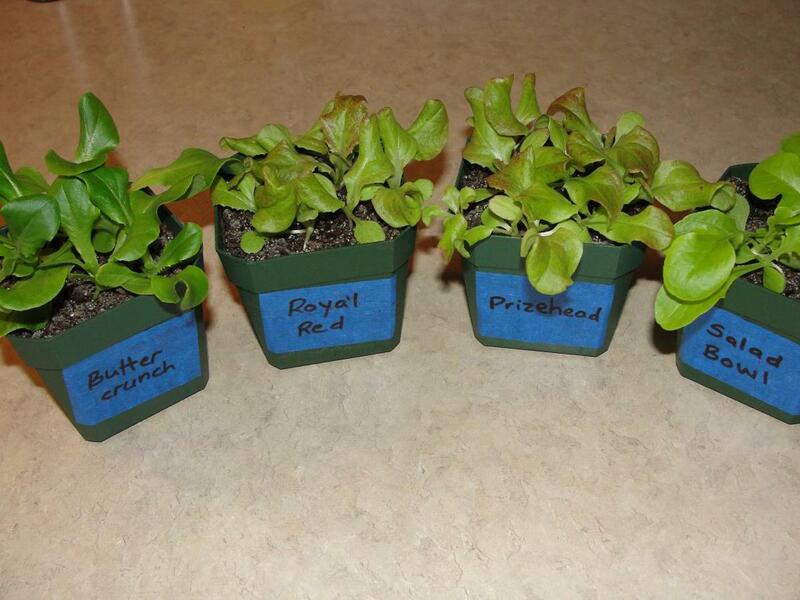 Congrats your Hub of the Day award for this neat post on growing plants from seeds. You've made it easy for the least knowledgeable person to have success in starting a little (or big) garden from seed. Thanks Susan! Lots of growth here also as it becomes milder. Spring is my favourite part of the gardening year! Excellent tutorial! Good timing for Hub of the Day (congratulations!) as our planting and growing season is gearing up quickly. Time to go get my hands dirty! Hi Kyra! Covering the tray keeps seeds moist, but the covering, if its opaque, blocks light. I have always sown seeds and kept them in dark conditions pre-germination, but I think its seed specific, and some seeds need sunshine as an essential element for germination. So its best to check the germination requirements on the packet or Google the flower/vegetable to see what the story is. I've tweeted some of the major seed suppliers to get more info on this. Thanks Kristen! I had planned to grow some tomatoes this year, instead of buying them in a store. I need to get cracking now and sow the seeds plus clear out the greenhouse which has been sadly neglected for the last few years! It's hard to get around to doing everything! I was surprised at "cover the seed tray". I thought it needed all the elements to grow - including sunshine. Eugene, this is great hub and just in the nick of time for spring, Beautiful photos and easy instructions to grow and sow seeds for your own home. I'm getting ready to start prepping my container patio garden at my apartment this April. Congrats on HOTD! Thanks a million Chitrangada! 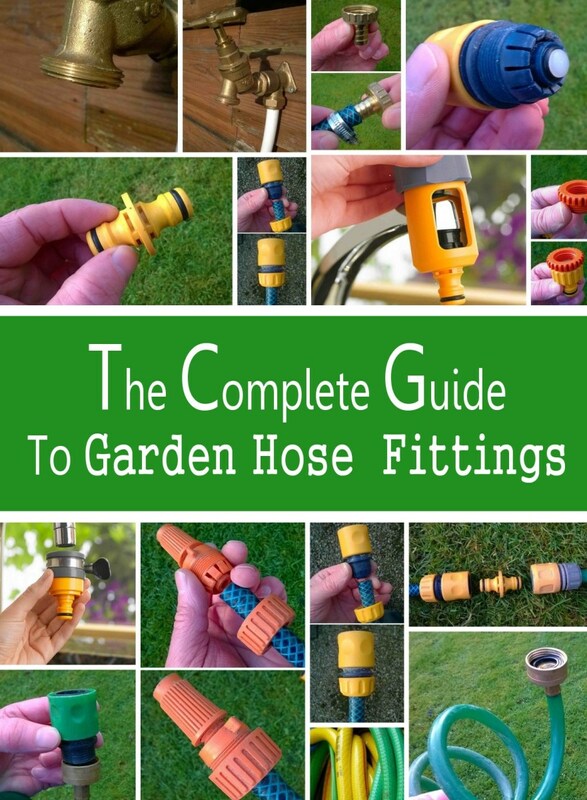 Hopefully it will help those who have absolutely no knowledge of gardening and want to learn the basics! 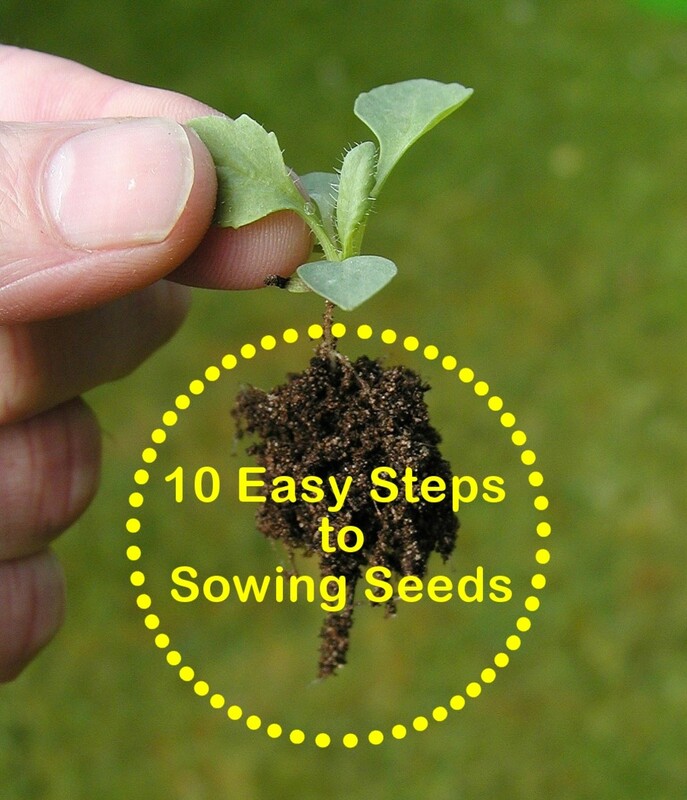 Very useful hub with step by step instructions on sowing seeds. The pictures are particularly helpful. Even if one is already doing gardening, your hub provides some very useful tips and suggestions. Thanks a million Susan! Producing plants from seeds is quited tedious but of course more economical. Just watch out for slugs when the seedlings are small! If you go to the trouble of growing from seed, its worthwhile growing perennials which regrow every year. Hopefully I'll be doing more gardening using seeds in the future, so this article will be very helpful. Pinned to my gardening board (and followed you while I was there, by the way). Thanks for sharing good gardening advice! Ah, Eugbug, the abundance of the wise and generous! Thank you techygran! 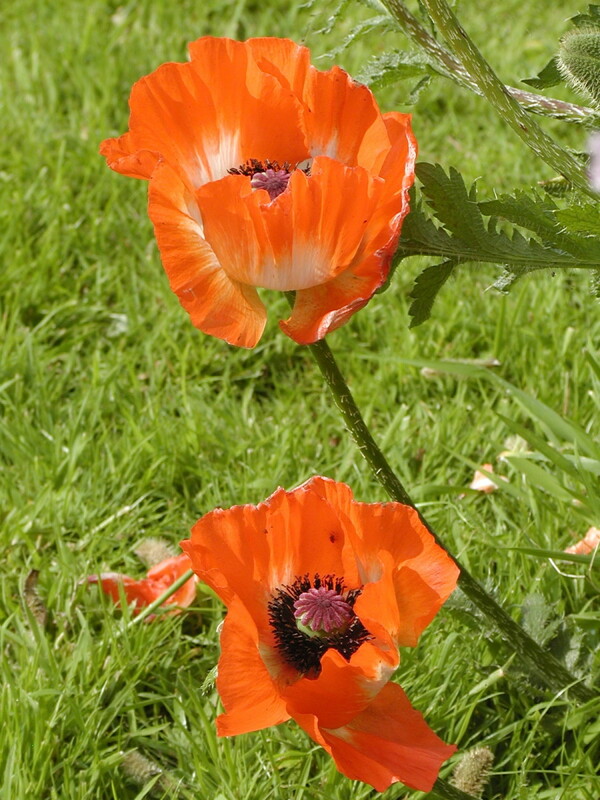 I now have loads of these poppies potted but no room left in my garden to plant them. Looks like I'll have to give them all away! What a great review and instructions! I am going to share this online, but also with my granddaughters! Good suggestions. Very interesting. Your pictures are so simple, anyone can do it. Thanks Beth! Many seeds are easy to grow, once the basic principles as shown above are followed. Hopefully these seeds will grow and I will have more photos later. This article is full of useful advice for new gardeners. The photos are just right and help to get the information across clearly. Great hub, voted up. Thanks a lot! Glad you liked it and thanks for the fan mail! Fabulous post. I love your suggestions for starting seed. Voted up!